Jun 27 2016 Update - Veeam's Anton Gostev has left a word of warning below, please read before you proceed! I actually enjoy playing around with beta code, because I like getting a peek at where things are headed. I also enjoy hitting the ground running, when the final product finally arrives. For over a decade now, in my home the family's PCs tend to be at the very latest OS level, usually a month or two before generally available. Same goes for my MSDN Windows Server tests that I do in my home lab. 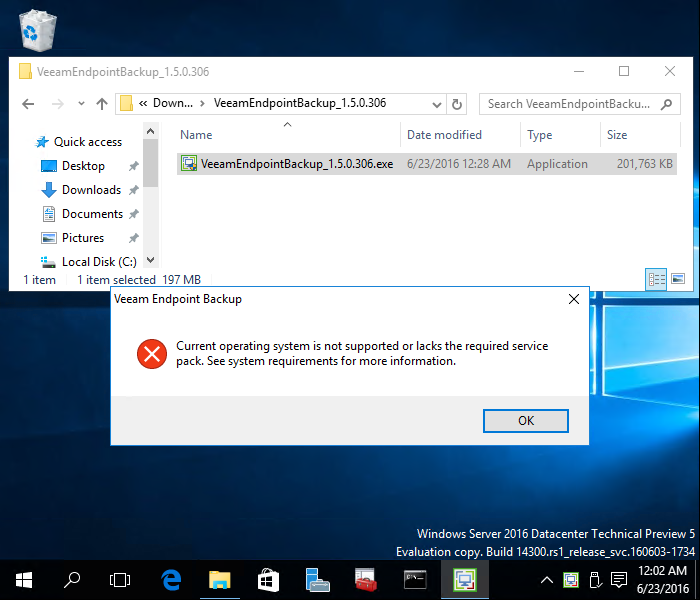 So it's fun for me to share with you the secret sauce I used to "convince" Veeam Endpoint Backup FREE into letting me use it with Windows 10 beta last spring, and Windows Server 2016 beta this summer. Once I made the right installation tweaks, everything just worked flawlessly and quickly. VEB is installed, and waiting for me to re-attach the drive I originally backed up to. As soon as I plug it in, the backup completes. Simple! Yes, Windows Server 2016 is currently beta. Yes, this "hack" is not a permanent solution for anything you'd use for stuff that really matters to you. It's mostly just horsing around, which for me also means learning the product inside out. I knew this manual install technique could work, because it already worked on Windows 10 beta, when VEB had the same complaint about an unsupported OS. 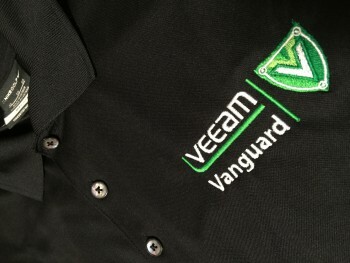 Can Veeam Endpoint Backup FREE be used to back up physical servers? Can it be used as an enterprise physical server backup tool? Customers can use Veeam Endpoint Backup FREE to back up those few remaining physical Windows servers in their environment. 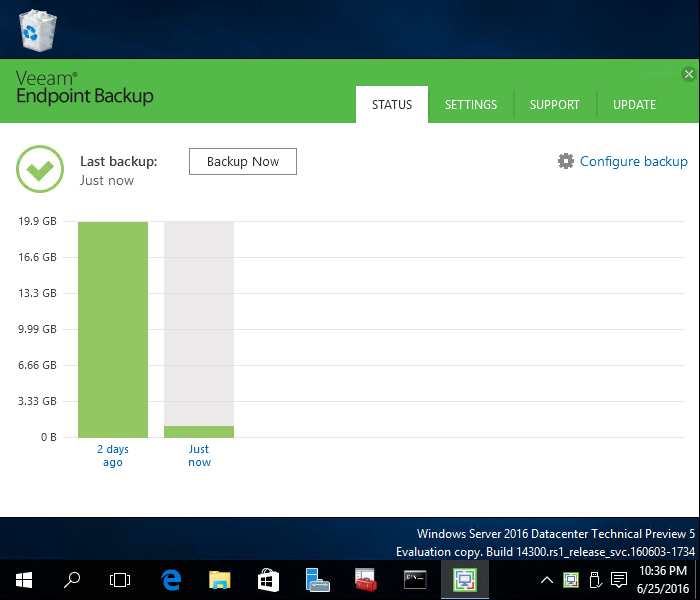 Veeam Endpoint Backup FREE does not scale beyond a few servers, however, and does not implement server-specific backup features (e.g., Veeam advanced application-aware processing, support for server clusters, etc.). So when 2016 does become a GA product, it's highly likely VEB will support it, and work just fine. Below, you'll find a detailed walk-through video that demonstrates every step of how I got this to work, followed by a full bare-metal restore demonstrating proper functionality. Don't assume that just because my bare metal restore worked that you'll have the same experience with your restore. This article and video are strictly for education and lab testing purposes only, and should never be used in any sort of production environment. Using beta OSs and/or hacked backup software in a production environment is never a good idea. The use case that I failed to mention above was that I need to get back to using my Samsung 950 PRO M.2 NVMe SSD as a VMware VMFS datastore, which means nuking my carefully built (but admittedly beta) Hyper-V environment. Trying to protect myself from regretting permanent removal of this fully functional and very fast Hyper-V installation with some Linux VMs, I figured I'd attempt to do a quick-and-easy VEB backup first, so I could restore easily in the future. I then decided to record video of the process of forcing VEB 1.5 to cooperate, just in case the backup actually worked out. Turns out, it did! I was then able to nuke that NVMe SSD, and go back to my traveling demonstration home lab with its "production" home lab vSphere datacenter.